Among other regular visitors were Lawrence of Arabia, Bernard Shaw, Arthur Balfour, Anthony Eden, Noel Coward, Cecil Beaton, Winston Churchill. Edward VIII and Mrs. Simpson were close to him during the abdication crisis. Inevitably, his vast influence attracted antisemitism: Virginia Woolf described him as an “underbred Whitechapel Jew” although he was born the son of Aline, the daughter of Baron Gustave de Rothschild in the most affluent house in Paris. 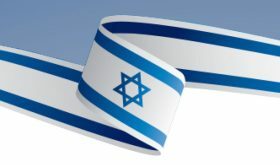 This is Philip Sassoon, the Babylonian Jew, the grandson of David Sassoon, head of the famous dynasty that fled Baghdad to the Far East and made a huge fortune. Handsome and dandy, a patron of the arts, he had a passion for flying and golf. Like his famous cousin, the poet Siegfried Sassoon, he never married. Sassoon was an MP, like his father Edward before him, for Folkstone and Hythe. Damian Collins, the current MP, was so intrigued by Sassoon and his Kent mansion that he decided to write a book. 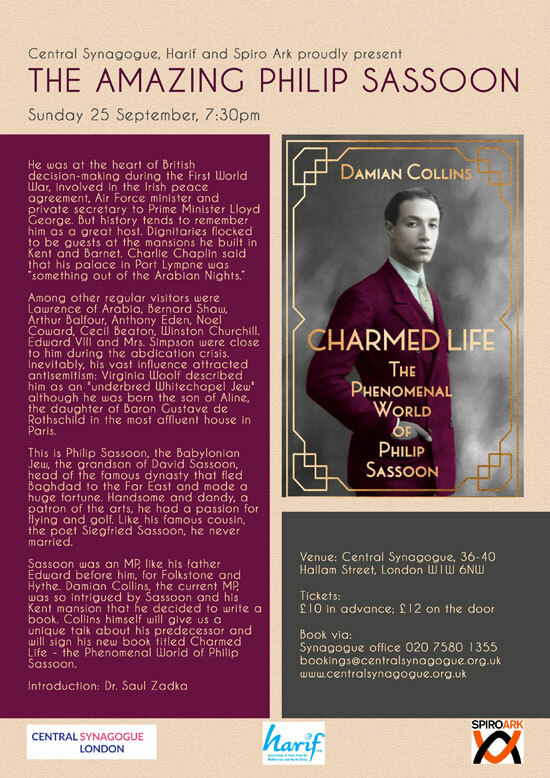 Collins himself will give us a unique talk about his predecessor and will sign his new book titled Charmed Life – the Phenomenal World of Philip Sassoon.